East Coast Escape Room is an escape room company located on Hooper Avenue in Toms River, New Jersey. It has three themed rooms where guests solve puzzles, complete tasks, and find keys and codes. They have 60 minutes to complete the objective and escape the room. Great for problem solving, team building, family fun, parties, and more! A short drive from Seaside Heights! *We recommend ages 13+ for this room due to the theme; however, all ages are welcome. A team of local vampire hunters has disappeared. You manage to discover their last known whereabouts, which brings you here. It is currently unknown what the vampire's weakness is. It is up to you to finish what the last group could not. Reservations must be made at least one hour in advance. We were featured in the Asbury Park Press! 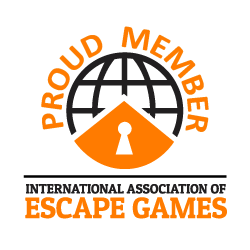 Why Should I Play an Escape Game? family fun, team building, birthdays, celebrations, & more! To view your group's photos, visit our Facebook and Instagram accounts. Pictures are typically posted within 24 hours of your visit.